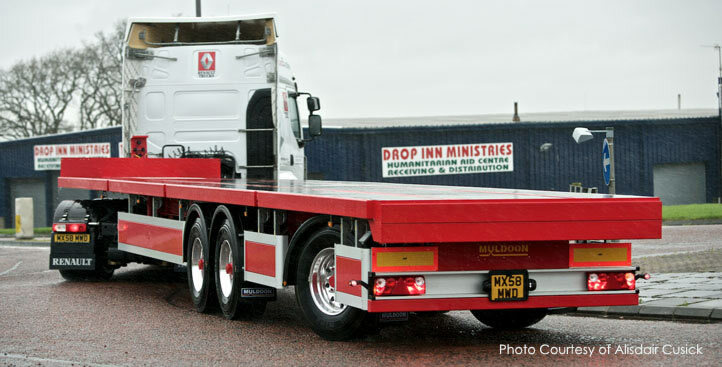 The 15.65m Longer Trailer has been an ongoing development which has been supported by Invest NI and has had 2 years trials already undertaken under a DOE "Vehicle Special Order" within Northern Ireland. 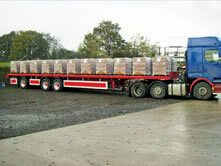 Recently, the DFT announced VSO's would be issued to trial longer semi trailers throughout ALL of the UK. We retain the advantage of already having two years of trialling already undertaken where we have been able to test, review and modify the design to ensure it provides the RIGHT solution for operators. 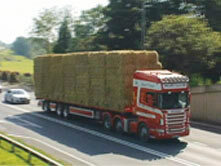 The Longer Trailer is 15.65m in length and fitted with a "Sidewinder Positive Rear Steer System". 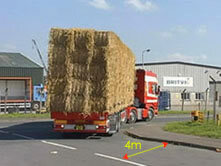 This technology means the geometry of the trailer is similar in comparison to a standard length trailer. To date, the trailer has demonstrated the ability to meet the legal turning circle criteria whilst ensuring proper load distribution within a standard overhang. It is suitable for use in a variety of applications such as flat trailers, curtainsiders, refrigerated trailers etc. In effect, this longer trailer design is longer, but importantly, does not compromise on proper vehicle design principles, practicality and safety. The first two axles of the trailer are fitted together and mounted well forward from the rear of the trailer. The third axle is mounted in a position which means the trailer can easily stay within the same turning circle radius as a standard 13.6m trailer with no steering axles despite between 2.05m longer. Recently, the design has been improved with a new patent pending kick out reduction system which limits tailswing. In the mechanical version of our steer, the level of kick out can be reduced to less than 800mm when turning from a tangent onto a circle. In the hydraulic version, this level is reduced to less than 400mm, this level is similar to what is currently experienced with a standard 13.6m trailer. 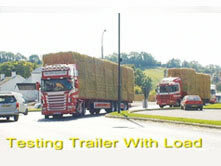 This means the trailer can actually operate within the same principles as a standard trailer. Tailswing had been a safety consideration identified during trials and represents a unique breakthrough in itself in improving safety of longer semi trailers. 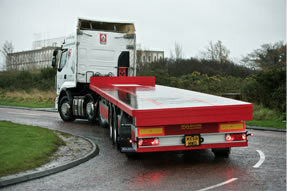 Operators are now looking ahead to the commercial advantages of of Longer trailers. Operators who potentially will gain the most benefit are those who transport lighter, high volume goods such as the fast moving consumer sector. With the huge benefits the trailer offers with regards to increased payload, potentially less vehicles on the road and reduction in carbon emissions, this trailer prototype has gained great interest from operators. Recently, the design was awarded the Fleet Transport "Trailer Innovation Award" and goes forward to the European Award at the Commercial Vehicle Show in Hanover. The technology used in the development of the longer trailer prototype is now available through the supply of the "Sidewinder" Steer System Kits which are available to the larger trailer manufacturers.